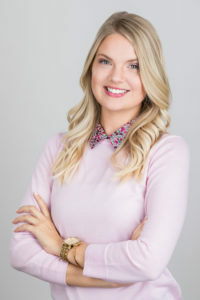 Cassie Robinson grew up in the mountains of North Carolina and graduated with honors from North Carolina State University, with a Bachelor of Biology. Then she attended Campbell University and graduated with honors again, this time with a Master of Science in Physician Assistant Studies. Cassie Robinson is certified by the National Commission of Certification of PAs, and is passionate about patient care, skin care education, and sun safety. During her training, Cassie did a rotation with Mid Florida Dermatology’s own Dr. Candace Glenn, which convinced her to specialize in dermatology. Cassie enjoys bike-riding, diving the springs, reading, traveling, and hanging out with her Pomeranian, Sebastion.